Sinai Memorial Chapel is the only Jewish funeral home in Northern California and was established as a non-profit organization in 1902. It provides its services regardless of a family’s financial means and serves as an essential community and philanthropic resource in the Bay Area. We help people do advance planning so that they can make decisions about these and other issues—providing peace of mind to themselves and their loved ones. And, we provide a Mourner Care Program to help families go through the process of grieving and to deal with practical matters as they resume their lives. We serve as a resource to apply Jewish tradition in ways that reflect the preferences and wishes of your family. 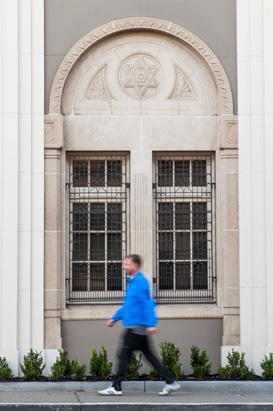 Sinai Memorial Chapel serves Jews of all branches of Judaism, whether affiliated with a community or synagogue, or not. We often work with families who would like to follow Jewish funeral traditions but are not familiar with the traditions. We can help you learn about the traditions and incorporate the rituals and practices that are meaningful to you.